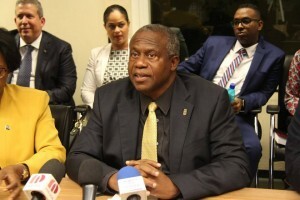 WILLEMSTAD – The Prime Minister of Curaçao and leader of the ruling party MAN, Hensley Koeiman called the tumult in Parliament yesterday a violation of democracy. He stated that the opposition should keep a sharp eye on the government but not intervene in the democratic process. “For more than 60 years it has been customary that those that are elected to Parliament will take their seat unhindered. But yesterday, according to my knowledge and from what I have been told, it was the first time something like that happened,” said the new Prime Minister in an urgent press conference called last night. All the Ministers were present and the Members of Parliament representing the coalition. “You cannot hinder one or more persons who were democratically elected by the people to take their seat in Parliament. We really didn’t expect this from the opposition MPs. This is unacceptable,” stated the Prime Minister. But, according to Koeiman, Parliament is complete once again. The seven new MPs have been sworn in and they are ready to work. 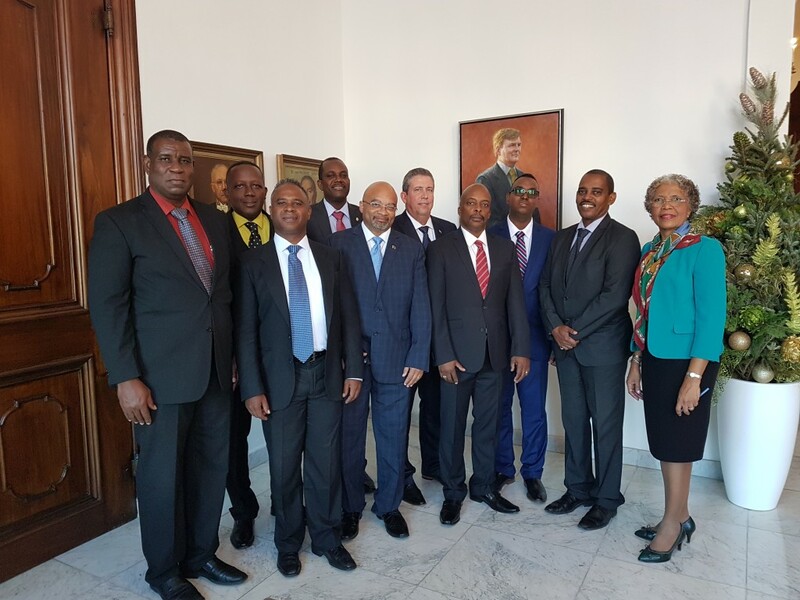 Koeiman did say that he is willing to reach a hand to the opposition MPs to work together for a better Curaçao.